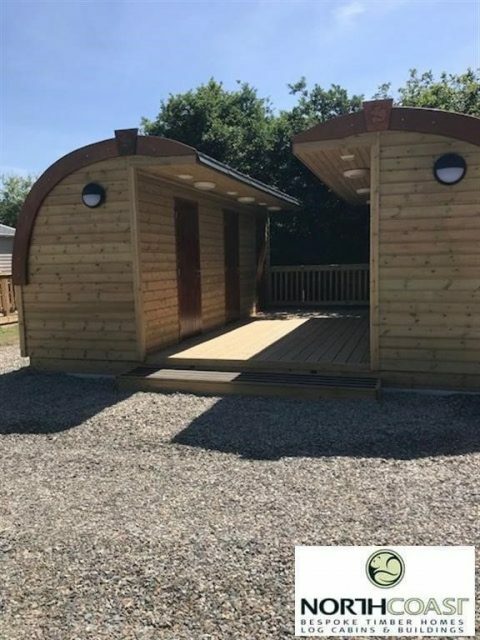 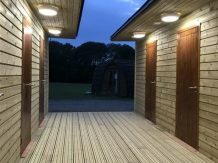 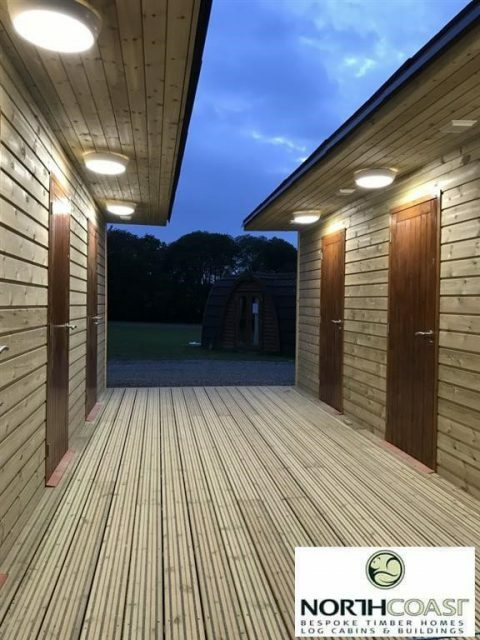 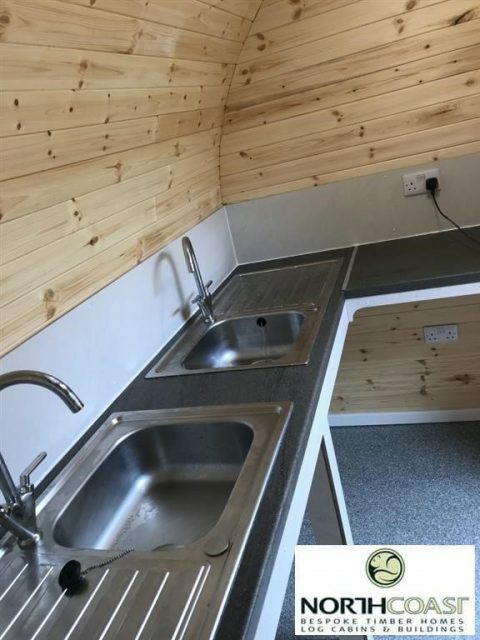 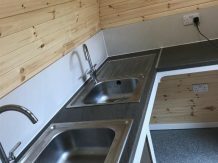 These two buildings were built to provide toilet and shower facilities for a local campsite. 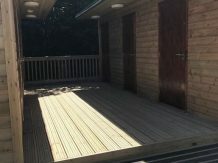 They were constructed in our workshop, pre-fitted with all electrics and plumbing, and delivered to site on a trailer. 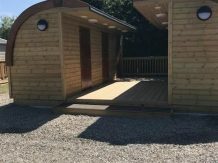 Steel beams built into the base allow the buildings to be picked-up by telehandler and lifted into position. 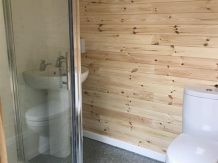 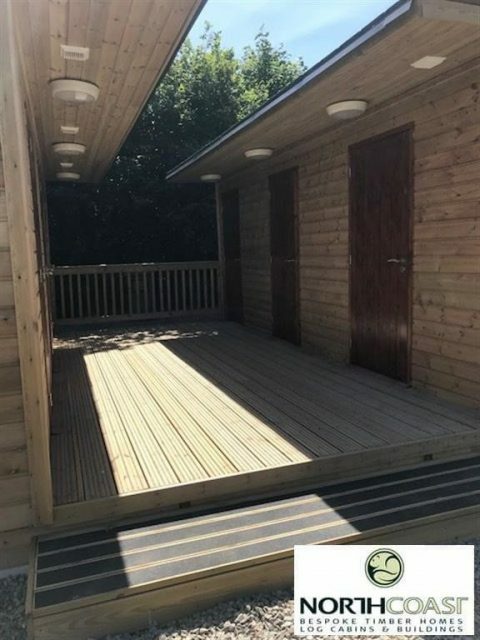 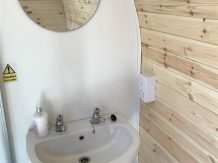 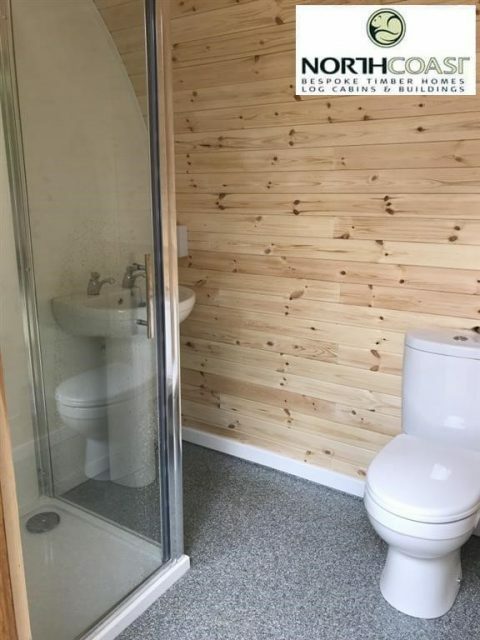 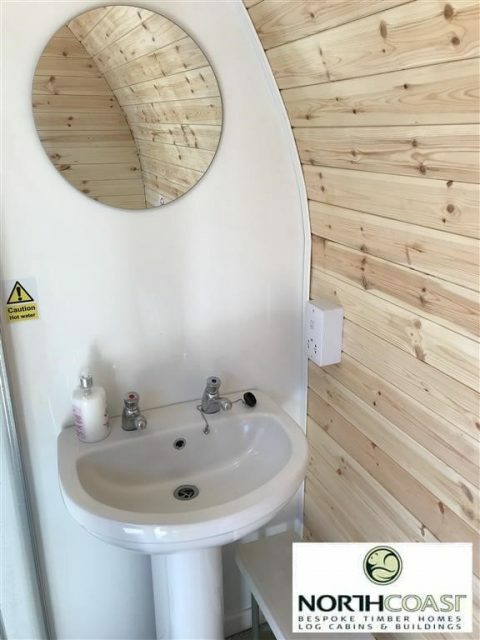 One building provides three individual shower rooms and the other provides a disabled accessible shower room, a kitchen and plant room with LPG water heater.